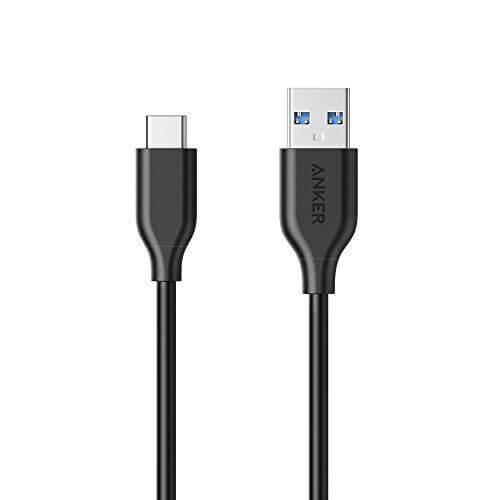 Today’s Deal over at Amazon is a quick, 4 hour sale on the Anker PowerLine USB-C cable. The 3-foot USB-C to USB-A 3.0 cable is down to $5.59, down from it’s normal price of $11.99. This price is good until the timer runs out or the designated number of cables are sold. Anker makes some great accessories and I have no hesitation in recommending them. Their cables are well designed and constructed so they will last a long time. They are also backed by an 18-month warranty. advantage of this deal, get over to Amazon quickly to get your order in.